Radio Tower "Manage survivors" option - useless? 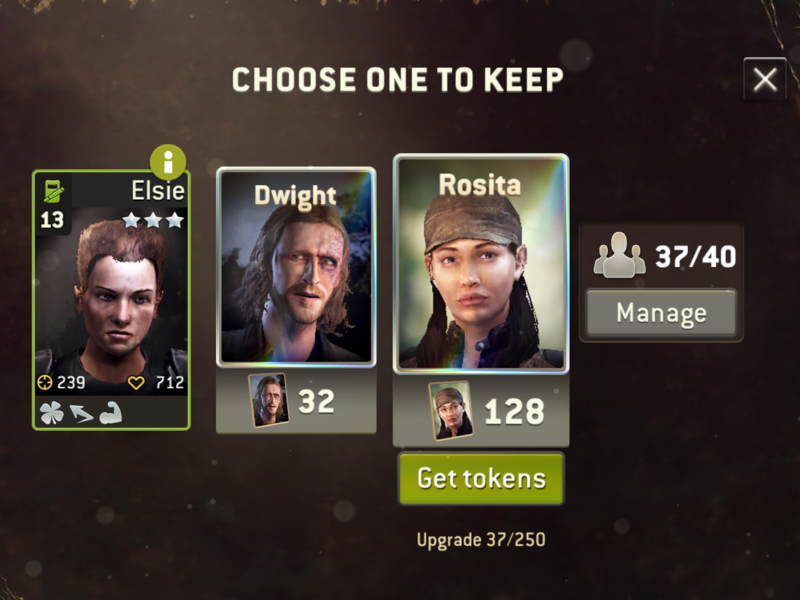 When I'm getting a choice at the radio tower and pressing manage space, the "Manage" survivor info screen doesn't show me how much tokens the inspected survivor (or a hero) currently have, and, if I'm not mistaken, it also doesn't show how much tokens I have for a particular class. To see that numbers, I need to close the radio tower screen and go to survivors screen separately. Why it is important: let's say on my 15-radio call I got a grey one (not relevant), a blue assault (gives me 128 tokens), and Rick (32 tokens). To decide which tokens I want to take, I need to check how many tokens I've got for a particular hero\class\survivor. In that imaginary situation I may prefer to take assault tokens, or, maybe, check and see that Rick is almost there for the upgrade - and in that case I'll want Rick tokens more. 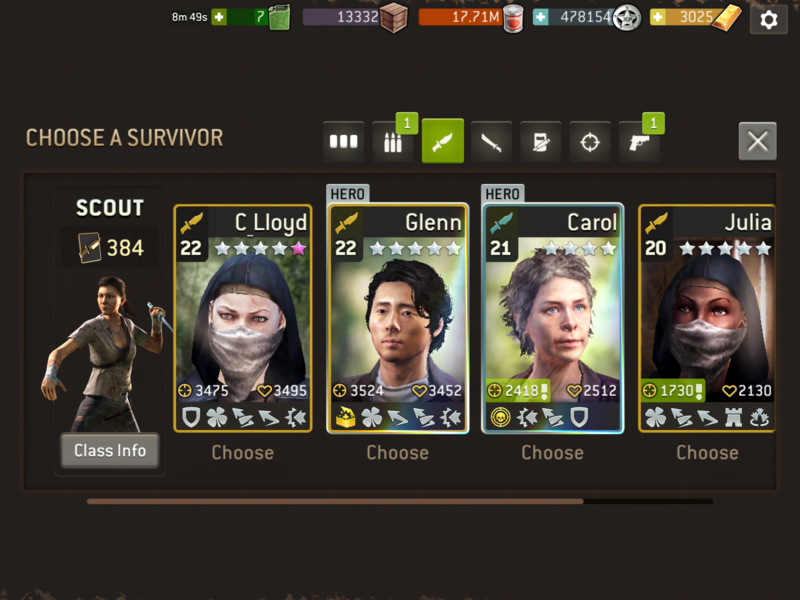 Now, if the Manage button doesn't allow me to to that, it just useless.It's understandable that it's there specifically to give player a fast access to manage their survivors, but it could've been a simple link to enter a common survivor's screen with all its features - and it does less than that. @autumn_ash , for Heroes it's pretty easy. Click on the hero icon from the radio call and it will tell you how many hero tokens you already have. For survivors it's a little more work. Click Manage Survivor and the class you are checking on. Sure @zbot but that's not the point. It doesn't help with the fact that you can't see a regular survivor's full options. @autumn_ash is right. It's a useless button! I use the button, if I pull a good survivor and have to retire one for the place. So no the button is not useless. @David_H79 I agree, that was a poor choice of words. 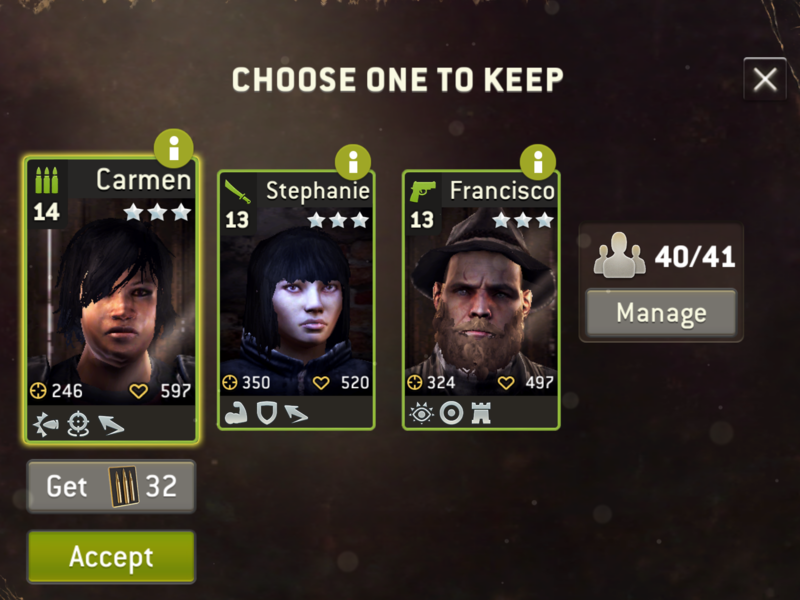 But still the issue stands, In this Manage mode we can't access all of options as if we're in a common survivor's screen, and this is a bit frustrating. I was spotting myself so many times getting out of Manage mode just to enter a common survivor's screen to be able to access all of the info.